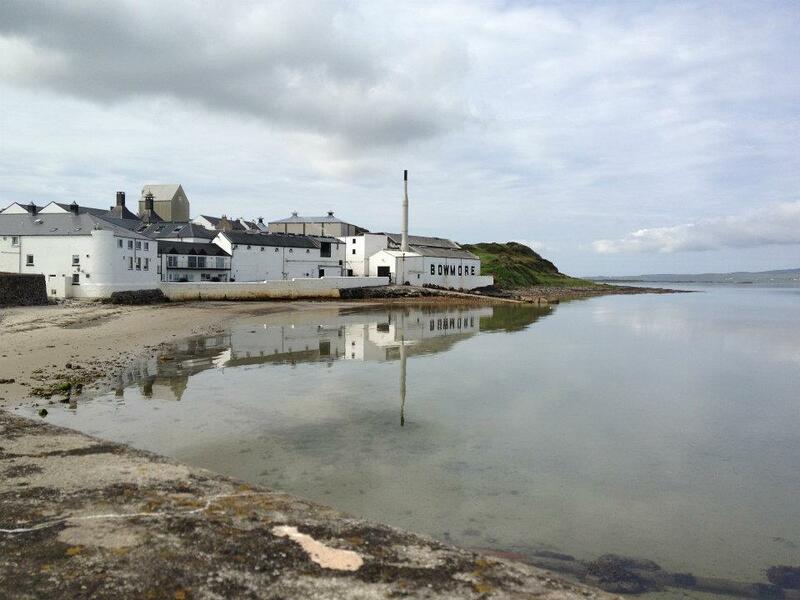 Bowmore distillery is located in the town of Bowmore on Islay. It was founded in 1779 by John P. Simpson, making it one of the oldest distilliries in Scotland and the oldest on Islay. The distillery was sold in 1837 to James and William Mutter, a family of German descent, they represented the Ottoman Empire, Brazil and Portugal through their consulates in Glasgow. In 1925 J.B. Sheriff and Company takes over and remains in control until 1950 when William Grigor and Sons takes over. They only have control for 13 years, as in 1963 Stanley Morrison buys the distillery and the company is named “Morrison Bowmore Distillers Ltd.” Japenese giant Suntory bought a 35% share in the company in 1989 and finally takes over all control in 1994 by buying the rest of the company. Morrison Bowmore Distillers also own Auchentoshan in the Lowlands and Glen Garioch in the Highlands. The distillery has an annual capacity of approximately 2,000,000 litres, and is one of the few distilleries left in Scotland with its own malting floor. Around 40% of the overall malting requirements are catered for by the distillery. There are 4 stills at the distillery and they have 2 dunnage warehouses and 1 racked warehouse. The range of Bowmore whiskies is vast, with something for everyone. The standard releases include a “Small Batch” release which is NAS and 100% bourbon cask, you can find our thoughts on it here. They also have a good number of aged whiskies in their standard range, namely, the 12 year old, 15 year old “Darkest” and 18 year old. They have recently released new whiskies for the Travel Retail market, Gold Reef, Black Rock and White Sands. You can find out our thoughts on these whiskies here. Bowmore whiskies can be highly collectable and there is a fervent following whom try to get hold of the new releases as soon as they can, especially the Feis Ile bottle which is released each year at the Islay Festival of Music and Malt. This bottle has seen long queues waiting for the release up to 18 hours before the doors open!